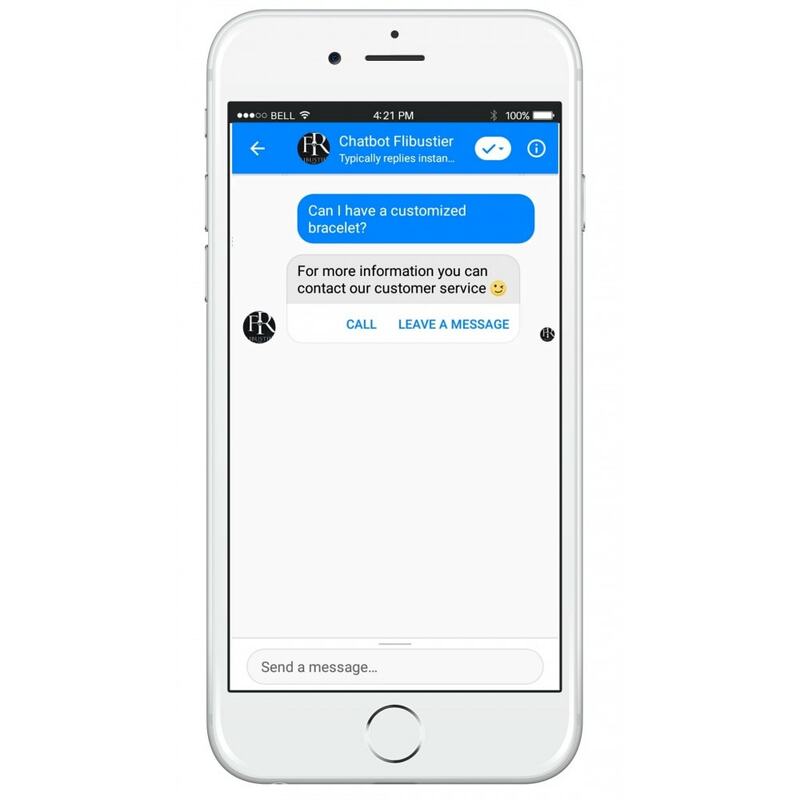 Offer a new conversational experience to the visitors of your website and keep in touch with them through the Messenger Customer Plugin. 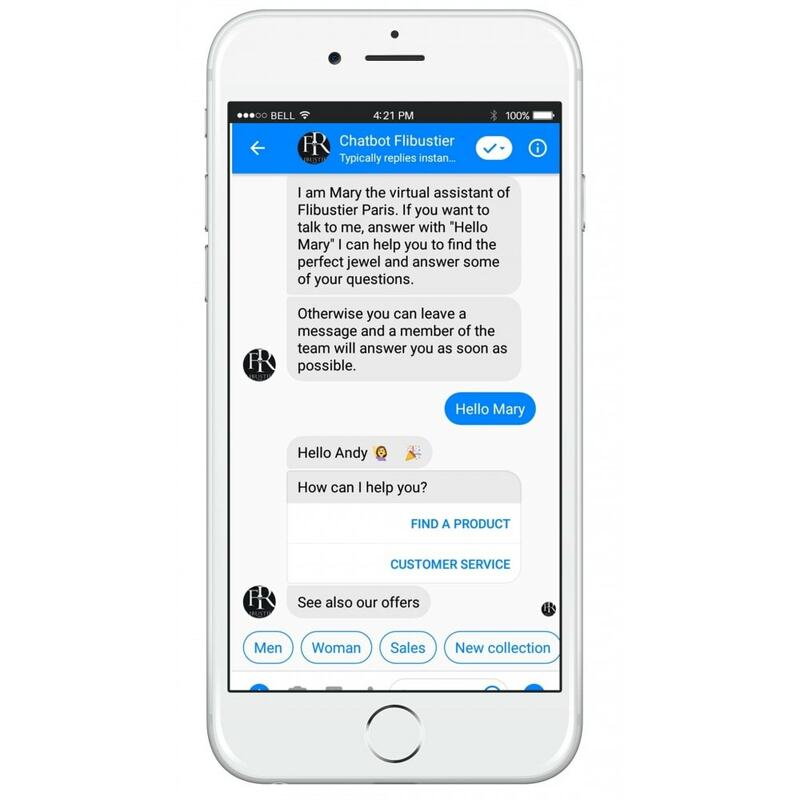 Capture each contact on your Facebook page to turn it into a sales opportunity with your chatbot. Highlight your key products according to the profile of each visitor. Propose similar products to the one consulted to inspire your customers and guide them in their choices. Suggest complementary products to those purchased or added to the basket to promote cross-selling. Simplify your customers' research by recommending the products most likely to interest them directly at the top of the categories and search pages. Relaunch the abandoned cart by recommending other alternative or complementary products. Recommend complementary products to those recently purchased by your customers. Suggest your flagship products in renewal of old purchases according to the reorder cycle. Reengage your inactive customers by highlighting your new offers and promotions that may interest them. 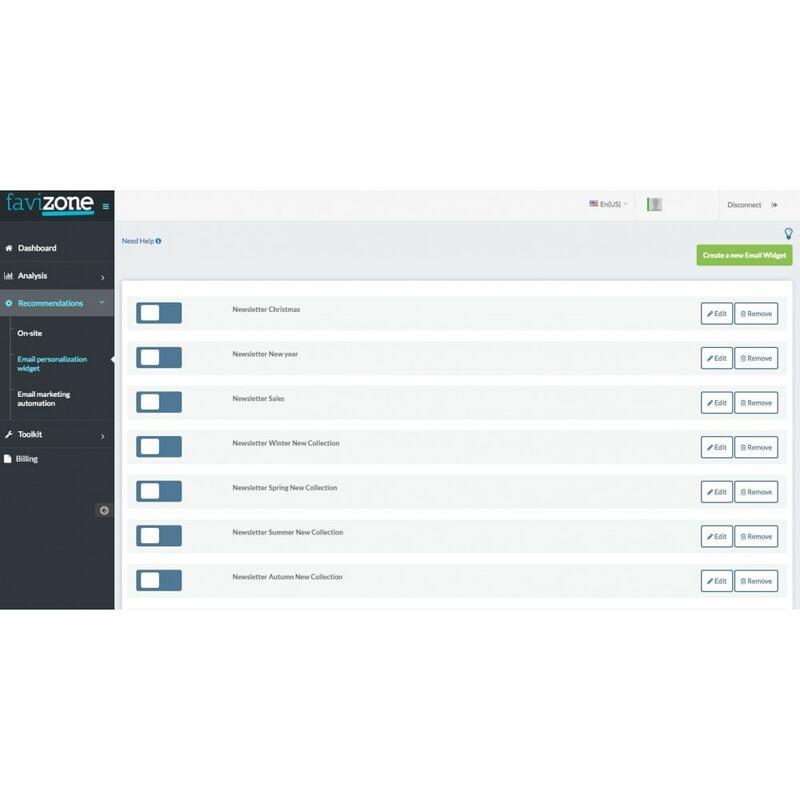 Automatic and real-time learning of your product catalog and the preferences of each visitor according to their browsing and purchasing history. 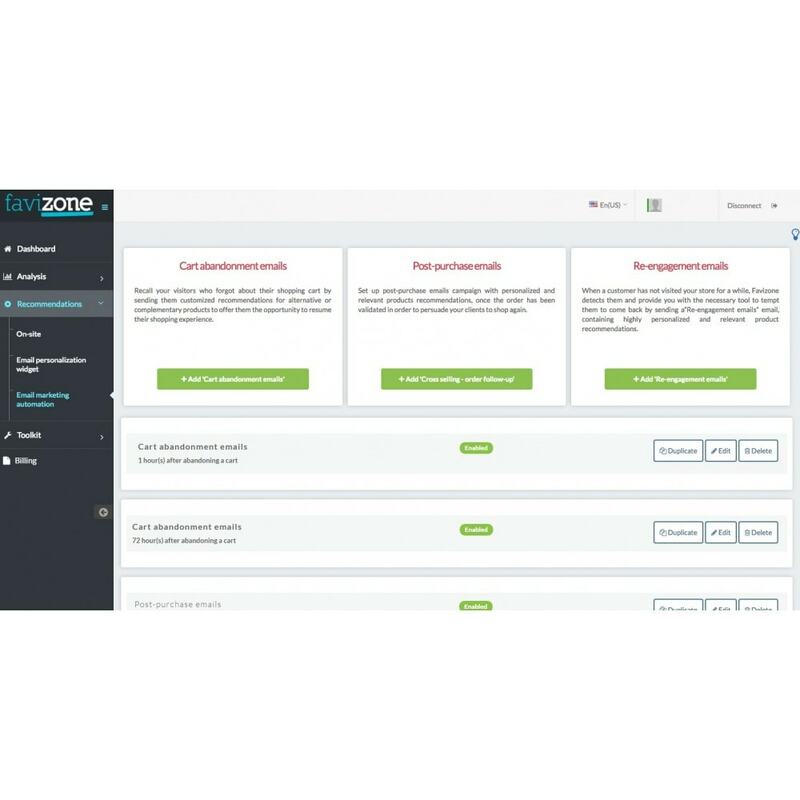 An intuitive admin interface to configure the solution according to your business rules. Advanced statistics, intuitive dashboards and rich statistics to track your performance. 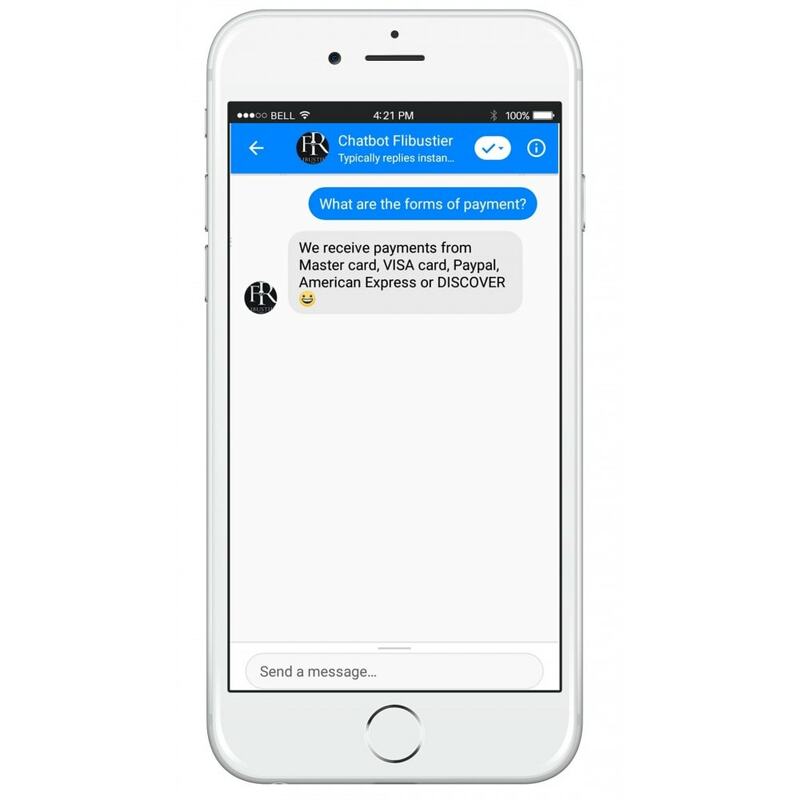 Favizone is determined to make Artificial Intelligence tools accessible to all e-merchants of all sizes to benefit from the same advantages as the big players. Favizone offers you a free trial period of 30 days with the assistance of an expert consultant to assist you in optimizing the solution and setting up best practices. Billing is according to the performance without any commitment or fixed fee. 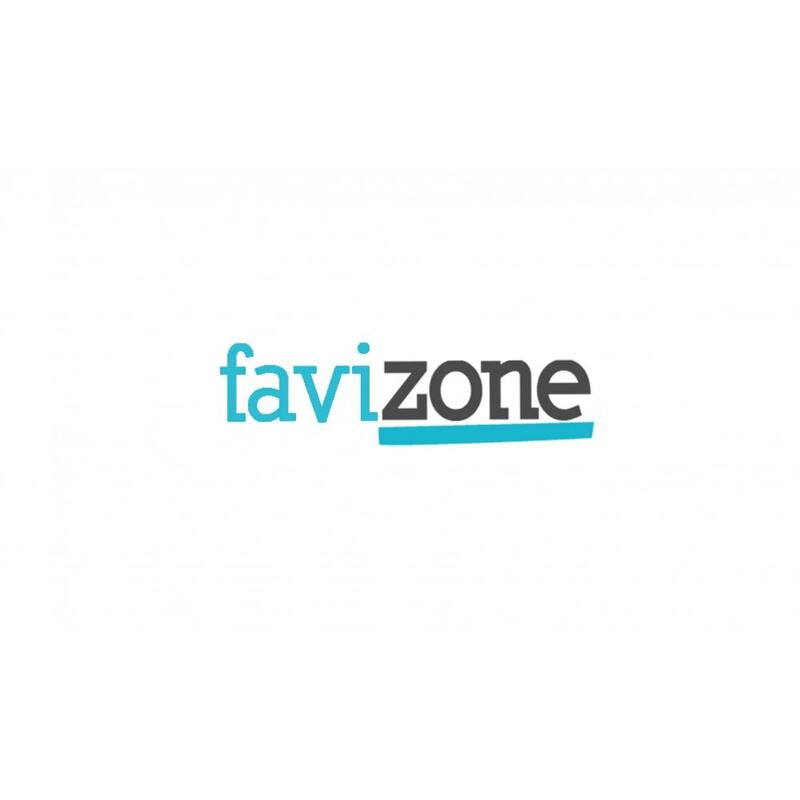 You will only pay a 3% commission on additional sales generated by Favizone. 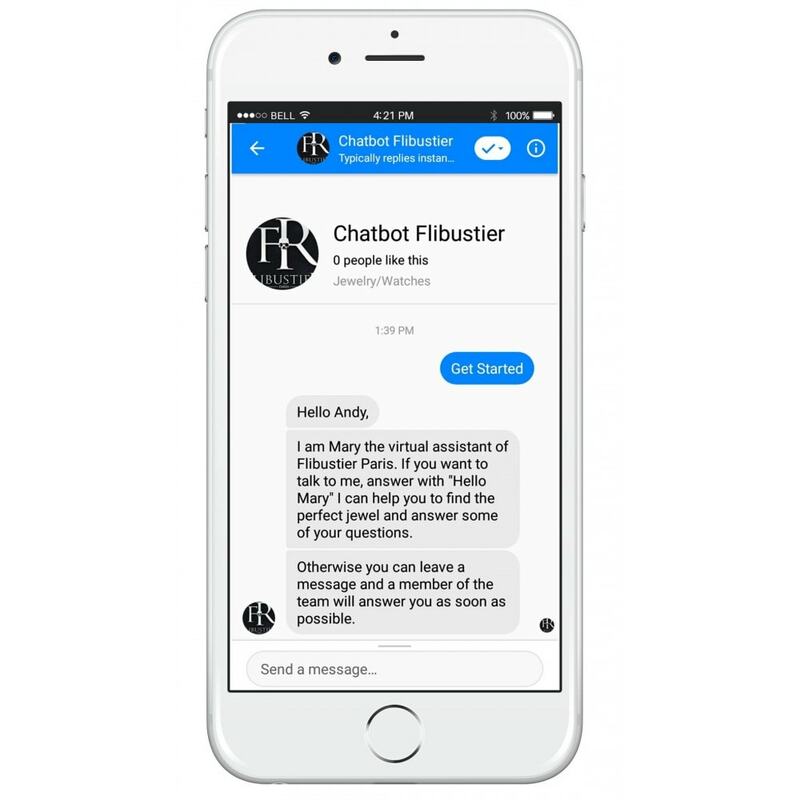 You can also choose usage-based billing which is depending on the number of visitors to your website and chats with the chatbot. 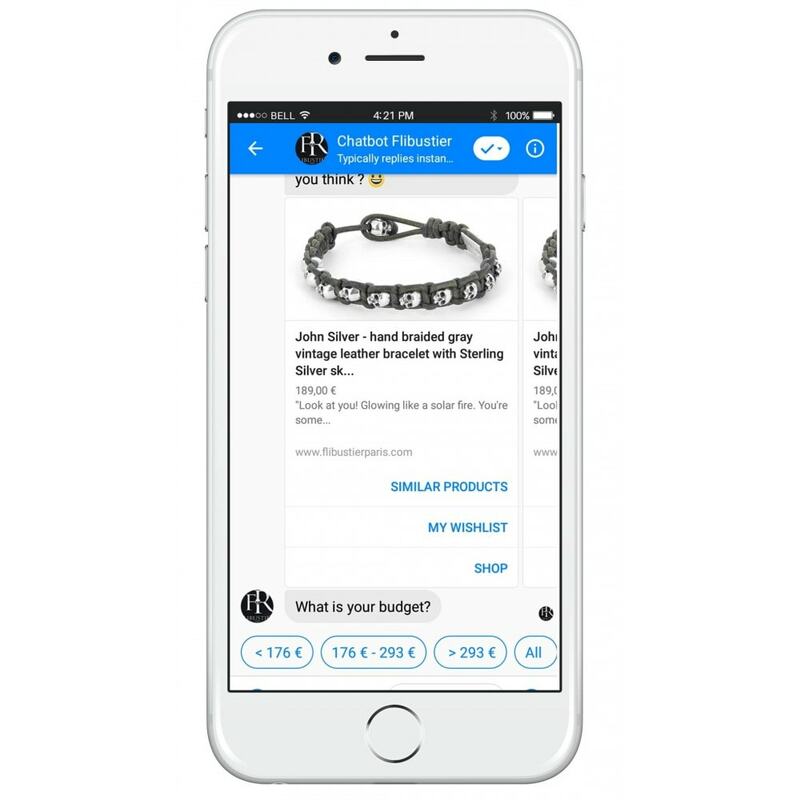 Benefit from a new conversational shopping experience to intuitively search for products using human language. 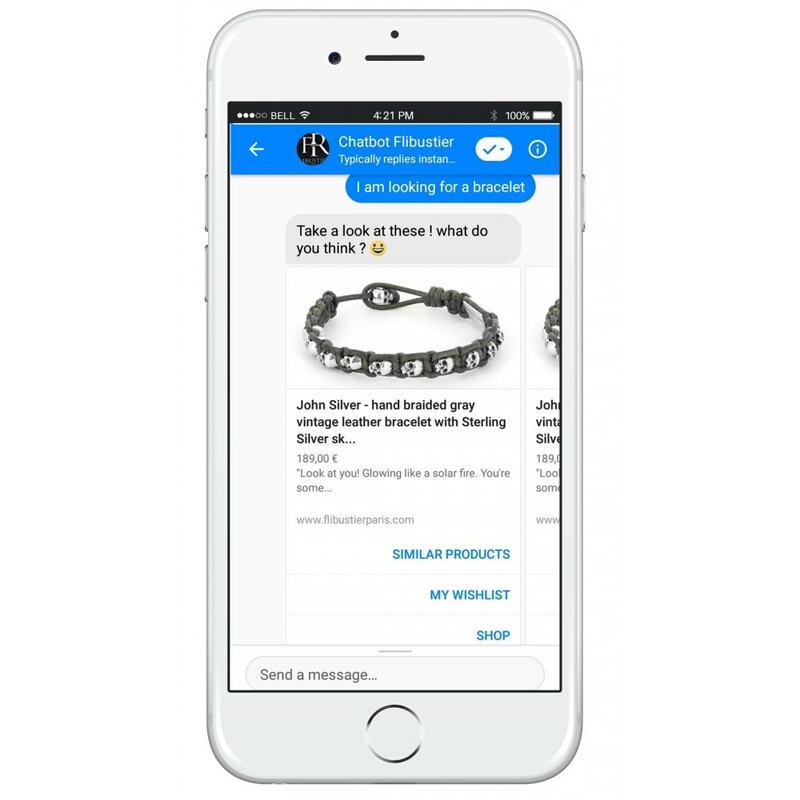 Make their purchase in real time on their favorite mobile application: Facebook Messenger with the possibility of seeking the help of a human agent. Enjoy a personalized experience on your website to make their browsing and shopping much smoother, more intuitive and enjoyable. Receive personalized and relevant offers by email.